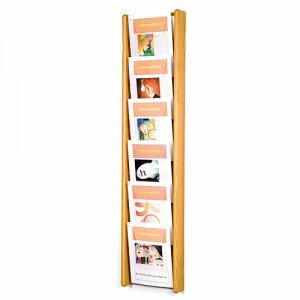 Display literature, brochures, and magazines in these beautiful displays. These racks were specifically designed to hold your literature up straight without having the corners curl over. The combination of clear corner supports and curved and tilted faces keep even light single sheet literature standing straight. The overlapping design allows for more pockets in a smaller space. These displays are constructed with solid oak sides and clear acrylic shelves. Each pocket measures 9 inches wide. 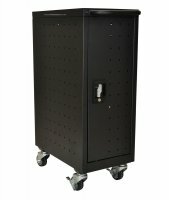 All racks include wall mounting hardware.